TAKE5 gives you an update on the latest Meetings, Incentives and Business Travel related news. It contains short and to the point information on venues, people, happenings, lifestyle and general news that cannot wait to be told! BBT Online guarantees you 15 new ideas in just 3 minutes. Enjoy our 67th edition. The marvelous Fond’Roy castle in Brussels opened its doors again, showing off its fresh new look. Built on request of King Leopold II, the property has a long and turbulent history, it changed hands multiple times and was even owned by former Zairian President Mobutu. The place now turned into a premium event venue. It houses multiple meeting rooms and bigger halls, able to accommodate a wide range of events in style. DFDS Seaways gives you the opportunity to celebrate New Year’s Eve on a cruise ferry in Amsterdam. On this ship, cruising around in the Amsterdam harbour, guests can go for an all-night-long party. No need to drive home, because you’ll sleep on the ferry. You’ll even start the new year with a copious breakfast the next day. During the evening you’ll enjoy a fantastic buffet before dancing the night away on the tunes of Radio Veronica’s DJ Erwin. Don’t miss the fireworks above the city! Rates start from € 139 all-in. Looking for a special kind of hotel? Martin’s Patershof might be something for you. 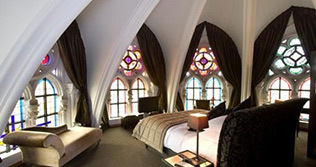 It’s located in the Friar Minor church in Mechelen, and offers the comfort of a 4-star hotel in a breath-taking setting created by arched ceilings, imposing pillars, stained-glass windows and religious icons. Martin’s Patershof can be found right in the middle of Mechelen’s historic city centre, perfectly located to discover the city itself. From 20 December to 9 February, visitors to the Place des Palais in Brussels will be able to discover the capital of Europe and its famous cartoon characters from a totally new angle – and quite literally so. 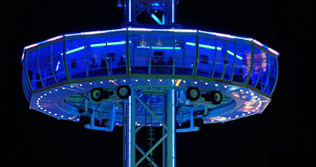 The Brussels Skyliner will take visitors 70m up above street level to give them a unique view of the city. In the Brussels Ice Magic exhibition, they’ll have the chance to see our famous cartoon heroes carved in ice. A couple of years after opening the already iconic MAS Museum, Antwerp made itself another gem. A brand new museum was built in the historic halls where the original Red Star Line shipping company was housed. Here, you can discover the story of millions of Europeans who were brave or desperate enough to leave the old world for the new. The museum shares their tales with visitors and turns them into a visual and touching experience. Countless personal stories shed light on an almost forgotten past. 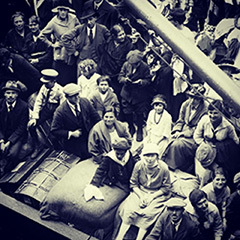 Between 1873 and 1934, more than two million men, women and children left Europe for a new life in the States from the docks of Antwerp. Chic Outlet Shopping introduced four new products in its nine European Outlet Shopping Villages. Cooperating with business organisations, locations, conference bureaus and congress centres, they aim to create tailor made events, meetings and incentives. Groups: congresses, meetings or events that include a shopping experience in the programme. VIP-admission to the villages combined with a culinary visit is a possibility as well. Special events: Rent an entire shopping village for your guests (from 300 to 2,000 people). Tailor-made entrance to certain boutiques can be arranged. Meetings: Use of VIP lounges and other facilities for personalized meetings. Incentives: Gift cards as a reward for clients or employees. Last September, the Belgian Association of Travel Management (BATM) held a well-attended forum on Managed Hotel Programmes. BBT Online was present as well. We decided to give those who missed it an insight in the matter by sharing the presentation of Jeroen Hurkmans, BATM’s Vice President and Principal of Advito. 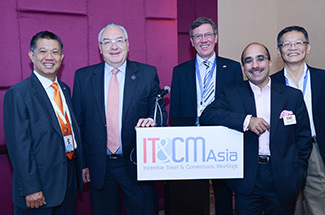 He spoke about the five necessary steps to build and maintain a valuable hotel programme for your business travellers. Having a balanced hotel programme could save your company a lot of travel expenses. 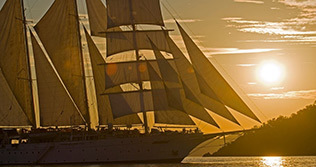 Thanks to the new tools on Star Clippers’ updated website, you now have easier and quicker access to the info you desire. With the simplified Voyage Planner, you can easily select your trips on travel date, destination, ship, timing and cruise options. Video images can be checked as an inspiration and there’s a possibility to virtually visit the ships. All cruise trips for 2014 and 2015 can be checked in detail on the website. The whole site is illustrated with marvellous images of the ships and the harbours in the Caribbean, Costa Rica and the Mediterranean. You there! Yes you! Isn’t it about time to stop being such a selfish *** and start doing something good for others? Christmas is not about getting presents, it’s about giving them! You’d be helping yourself if you did. Science shows your brain responds the same both to nice things you do for others and to nice things you do for yourself. 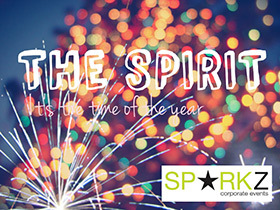 An interesting thought and exactly why event agency Sparkz (www.sparkz.eu) introduced ‘The Spirit’: a unique Christmas drink that can be organized for your company. You’ll get something good for yourself, for your colleagues and why not, for everybody else. 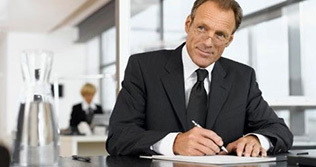 The Spirit’s goal is creating job satisfaction and a lasting impact on team and output. Find out all you want to know in this funny and well-made presentation, click here. Early October, BBT Online attended the IT&CMA trade fair in the bustling city of Bangkok. Besides having a lovely time, we saw the fair was a success. More than 14,000 business appointments were generated in two days, with 60% of Buyers and 47% of corporates being newcomers. Associations finally seemed to have discovered the potential of IT&CMA, as the new association day (held for the first time this year) was well-attended. IT&CMA is the leading international MICE show centered in Asia, offering the largest collection of Asia-Pacific MICE suppliers. IT&CMA brings together MICE suppliers as well as regional and international buyers in a 3-day exhibition showcase coupled with intensive business appointments. Exhibition features include destinations, products, services and solutions relating to meetings, incentives, conventions and events. IT&CMA 2014 will be held from 30 September to 2 October. You can register for IT&CM China (Shanghai, 15-17 April) here: www.itcmchina.com. 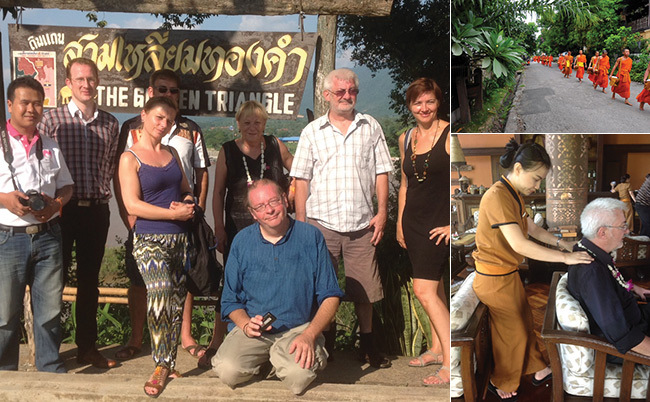 BBT Online’s Ellen van Ree had the unique chance to join a small selection of Belgian incentive houses on a trip to lovely Laos. Guided by the passionate guys at Laos Mood Travel and MICE People, they had seven days to explore the culture, mystery, fantastic nature and of course the MICE potential of this beautiful, tranquil country. One of the highlights of the trip was a visit to the marvellous city of Luang Prabang. We’re so very jealous. Click here to read the full article. Ellen, who’s a real Twitter addict, not only visited Laos but also took off to the Danish capital of Copenhagen for a press trip centred on sustainable meetings. Small twist: the press trip was going to be transmitted live via Twitter and Instagram. 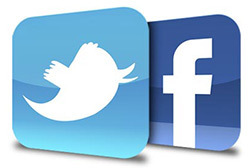 A perfect way for Ellen to feed her Twitter frenzy, and an even more perfect way for Copenhagen to promote itself as the capital of sustainable meetings to the flexible and versatile social media audience. Read more behind this link. A study by Visit England reveals that four main factors will shape our meetings in the year to come. The impact of major sport events is getting bigger every year, and these events often bring exceptional meeting venues to the market. Another trend is that more and more organisers are looking to take their delegates outside of the boardroom and into a more natural environment to stimulate creative thinking. Thirdly, event planners are looking for unique venues. Meetings in religious buildings are becoming popular and historic venues are on the rise too. Lastly, locally sourced food is becoming ever more popular in the corporate world. Clients want to dine in restaurants serving local dishes. Join BBT Online on 9 December for the third edition of our Speed-date Workshop! A fine selection of exclusive A-list suppliers will be waiting for you in The Hotel, a recently refurbished landmark in Brussels. The workshop will be held on one of the top floors, with a spectacular view over the capital by night! After the speed-dates we’ll cross the street to have dinner in restaurant Cospaia. Note that this event is meant for professional Benelux incentive and event agents and PCOs only. • 27 November, Van Der Valk Hotel, Brugge-Oostkamp: Travel 2013. Visit the 4th edition of this leading congress on online and offline marketing in travel. Rate for attending the entire congress: € 199. To register yourself, click here. • 4-6 December, Copenhagen: MINDevent. A fine combination of education, entertainment, site inspections, networking and knowledge sharing. The perfect opportunity to experience the beautiful city of Copenhagen at Christmas time. Register here. • 4-5 February, 2014. Earls Court, London: Business Travel Show. As one of Europe’s main events for business travel buyers to source, learn and network, The Business Travel Show attracts over 6,000 professionals every year. Registration is now live. Go to: www.businesstravelshow.com. 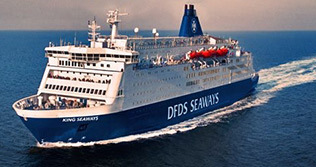 • DFDS Seaways now offers four-day football trips from IJmuiden to Newcastle-upon-Tyne. Set sail on one of their ferries and combine a business or city trip with a Premier League football match: the perfect incentive, especially with all the Belgians dominating the League www.dfdsseaways.be. • From 22 November to 21 April, the Brussels Stock Exchange will host ‘The Art of the Brick’. This exhibit showcases more than 60 imposing and fascinating works of art, made completely out of Lego. All of them were created by American artist Nathan Sawaya. His exhibition already attracted over 1.5 million visitors in the US, Australia and Asia. The one in Brussels is the European premiere. www.expo-artofthebrick.be. • Our friends at Borealis DMC completely refurbished their website! Go take a look and see what they’ve made: www.borealisdmc.com. • The lines between private and professional time are quickly disappearing (‘blurring’) because of the mobile revolution, says a Pullman rapport interviewing 2,200 frequent travellers. 60% of them take work related smartphones and laptops on holiday trips. One in five check their mail at private dinners and one in four while in bed at night. • TAP Portugal will be launching two new destinations in the north of Brazil as from June 2014. Manaus and Belém are the 11th and 12th Brazilian destination for the airliner. TAP Portugal will be flying to no less than 10 of the 12 host cities of the FIFA World Cup. TAP operates four to five daily flights from Brussels to Lisbon and Porto. • KLM introduces Economy Comfort, giving travellers the same Economy Class service, but with more comfort, more leg space and a chair that has more recline. • Travellers regularly flying to the same destination can now take a subscription on their flights, just as they would do for an often used train trajectory. Brussels Airlines launches the b.pass, a flight subscription taking passengers (during a period of three or six months) six times to the same destination at a very economical price. • Turkish Airlines organises an international photography competition called ‘Bridges and People’. Interested photographers can send pictures showing bridges between individuals, cultures and societies (Istanbul itself has some fine examples). Winners get free tickets to a Turkish Airlines destination of choice. First price is $ 15,000 worth of tickets. Join the competition by registering on the www.skylife.com website. • Ardennes-Etape introduces a unique new feature. As of now, travellers can get an exclusive view of the inside of more than 100 holiday homes in the Belgian Ardennes. These 3D models give you a way to check out a potential venue without having to see it in person. 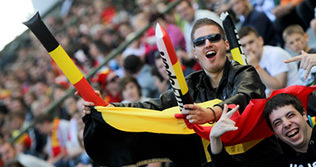 www.Ardennes-Etape.com. 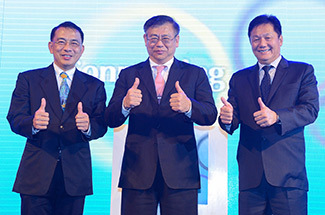 • Club Med opened its second Chinese Club Village. The idyllic Club Med Guilin can be found in the autonomous South Chinese region of Guangxi Zhuang. The venue is located on a 47 hectare domain in the middle of nature, surrounded by the world famous karst hills: one of the country’s most popular tourist spots. www.clubmed.com. • If you want to go on a Christmas shopping or Christmas market city trip, a good hotel is of course a must. The InterContinental Hotels Group found you the eight best hotels in its portfolio to spend this year’s holidays. Read all about them by clicking this link. 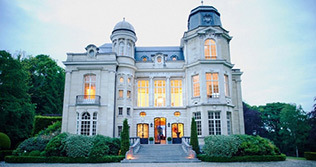 • Hotel Les Nuits in Antwerp just opened two new in-house meeting rooms. They also completely refurbished their restaurant, now named Bar Cesar. 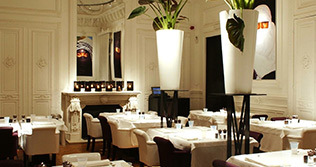 Check out www.hotellesnuits.be and www.bar-cesar.be. • Luc Préaux was appointed as Swantegy’s new CEO. Préaux will be joining Kathleen van Parijs and Georges Yana in the management team. Previously he worked for organisations like Unilever, Kellogg’s and Rentokil-Initial. • Guillermo Castells is leaving his function as Sales & Marketing Manager at Hard Rock Café Brussels to launch his own event & communications company in Accra, Ghana. A market he believes, with a lot of opportunities. • Kempinski has promoted and appointed Alexander Suski as Area Director of Sales & Marketing for Egypt. Previously he worked as Director of Sales and Marketing in Warsaw, Amsterdam, Brussels, Bruges and Ghent. • The whole of The Netherlands is in turmoil after the UN declared the country’s national Sinterklaas festival, primarily aimed at giving young kids nice presents, to be racist. Blend TV decided to take action, and made a Sinterklaas CD where all ‘disturbing’ phrases were replaced with more politically correct ones. See? There is still a future for our kids out there! Click here.